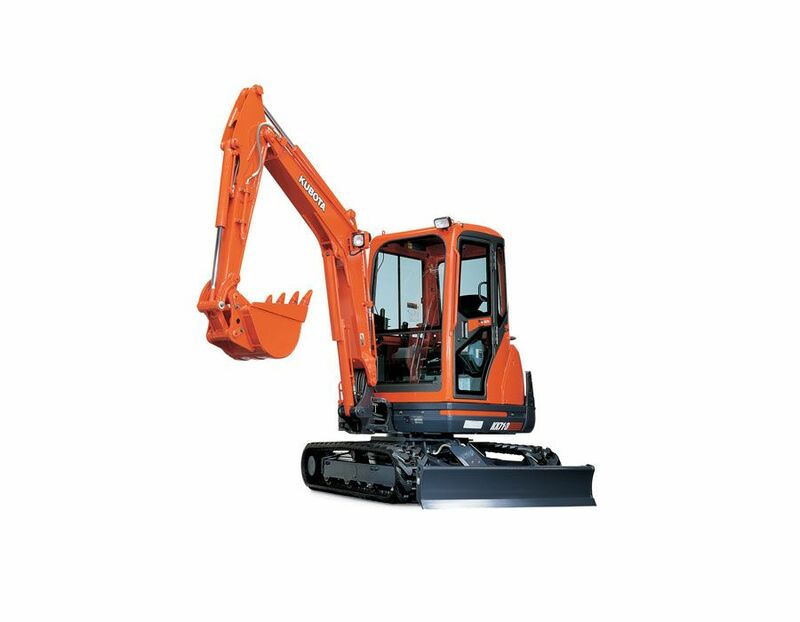 The Kubota KX71-3HGLS Canopy Excavator is designed with a renowned diesel engine, combined with variable displacement hydraulic pumps, which give it unmatched muscle and performance in small or large applications. 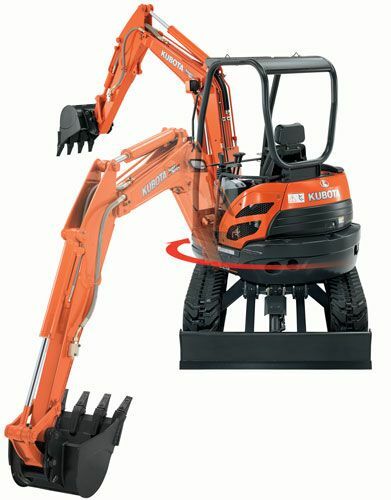 Kubota’s unique undercarriage features an increased track length and width to give it excellent stability. The accumulator makes replacing attachments safer and more efficient. Turning the key to the “on” position clears residual pressure in the auxiliary hydraulic hose. 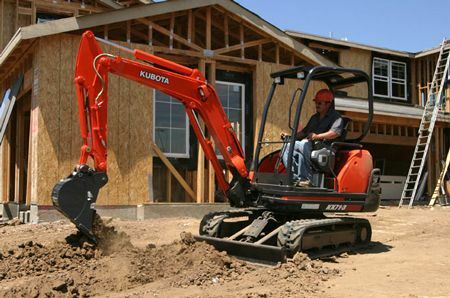 Kubota’s unique hydraulic system, together with a powerful boom cylinder, delivers the lifting power you need to broaden your range of lifting jobs. Combined, you get an advanced hydraulic system that automatically regulates and distributes the optimum amount of oil to each cylinder, based on the weight of the load for smooth, responsive and stable lifting ability. 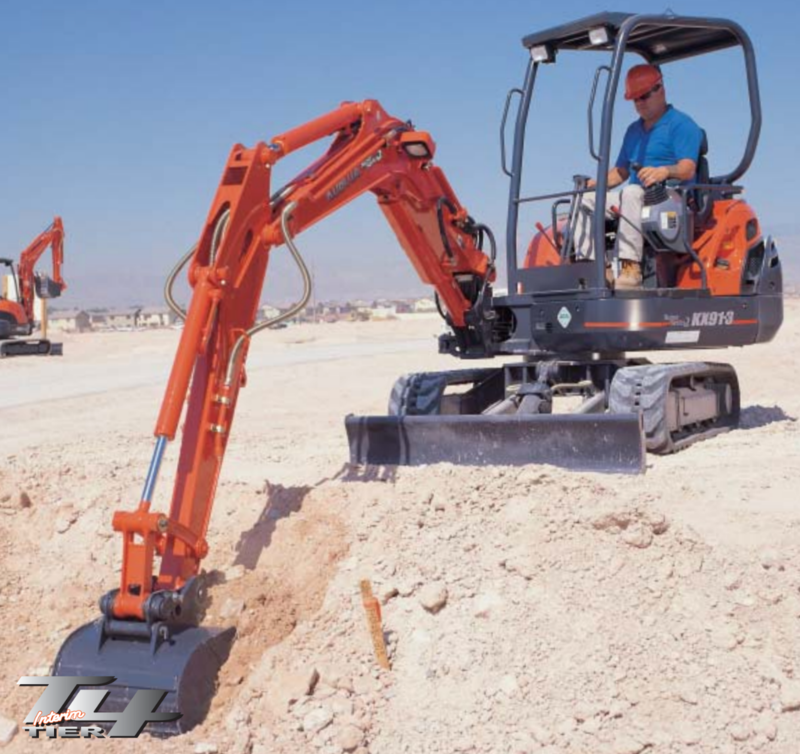 With a digging depth of 9'7" and auxiliary flow of 13.4gpm this excavator has it all. 2 Pattern Selection System - Change between ISO and SAE operating patterns with a quick flip of the TPSS switch, without tools or leaving your seat. Variable Displacement Pumps - With variable displacement pumps, both the oil flow and pressure are adjusted according to the workload. The pumps even reduce the required engine horsepower for greater fuel economy, and minimized vibration and noise. Adjustable Auxiliary Flow - The digital instrument panel lets you control the oil flow according to your needs or the attachment in use. It eliminates the hassle of using tools to change settings manually, so you don’t have to leave the cabin. When using a tilt bucket, you can slow the flow to get just the right control to gently shape a swale. 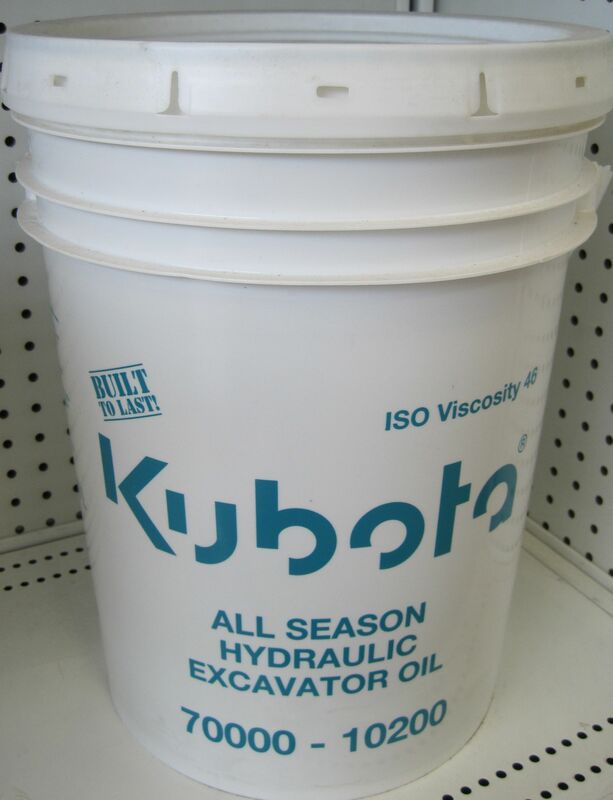 Alternatively, for a brush cutter, direct the oil flow to one side of the excavator arm. The system will even store your settings for the next time you need it, saving time and quickly regulating the flow requirements. Adjustable oil flow enhances performance and saves fuel. 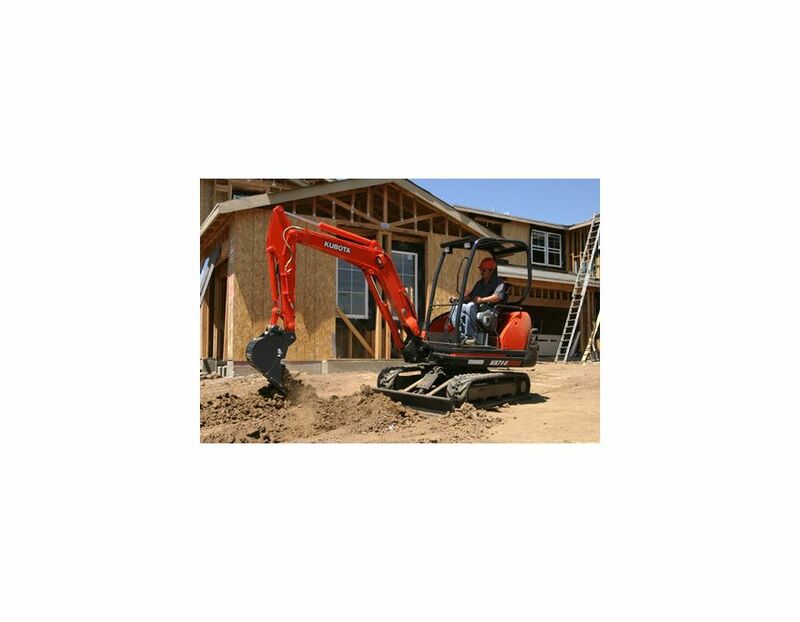 Digital Panel - A digital panel and the Kubota Intelligent Control System (KICS) help reduce excavator downtime and repair fees by providing accurate and timely diagnostic readings and routine maintenance alerts. The panel not only lets you know when fuel is running low, but warns you during refueling when the tank is nearly full. 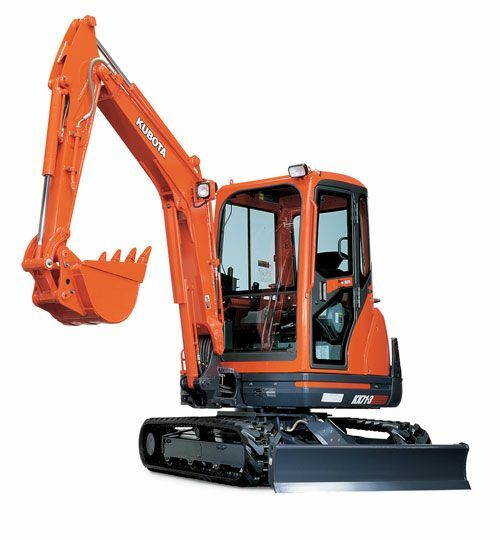 The Kubota Excavator KX71-3HGLS with Canopy is available at Kooy Brothers Equipment Ltd. located at 1919 Wilson Avenue in Toronto, Ontario.